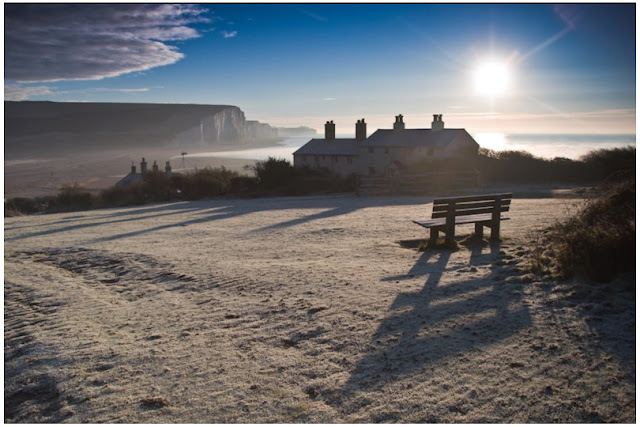 The Sussex Coast Guard Cottages on a very cold December morning. 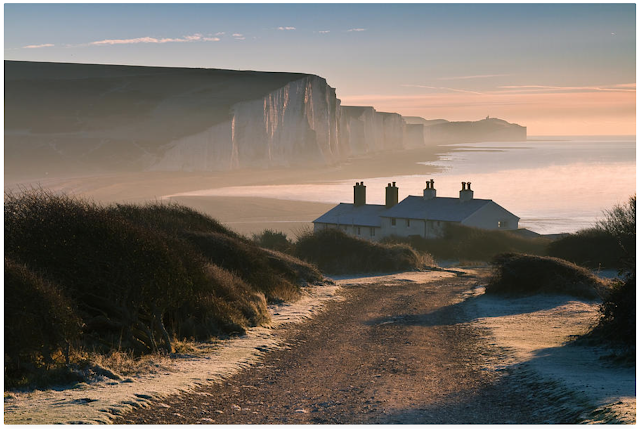 The scene is probably the most famous view in Sussex, I myself have photographed it many many times and I still love coming back here, it is such a beautiful place to be. This particular morning was cold, very cold. 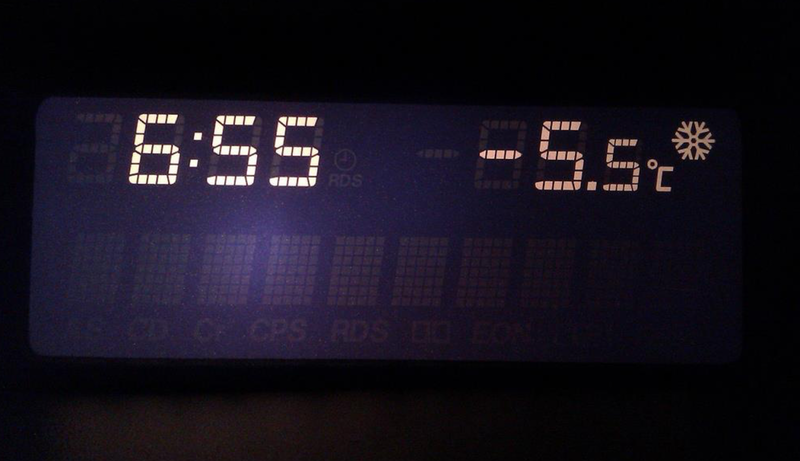 This was a photo from my car temperature gauge. The walk down to this point is around 0.6 miles from the car park, and it was such a clear crisp morning, you could see clearly for miles around. I headed down the path and got to this point and decided to set up here and wait for the sunrise. I already had the shot in mind, I wanted the traditional photo with the coastguard cottages, but with the winter sun being much further around you get a really nice morning light on the cliff face (The Seven Sisters). As I waited for around 15 minutes trying to stop my fingers from turning blue, the sun slowly started to rise, the light hit the cliff face beautifully, a few moments later as the sun shone onto the sea, where the light touched a beautiful mist started to rise from the sea, it added a beautiful atmosphere to the photo. 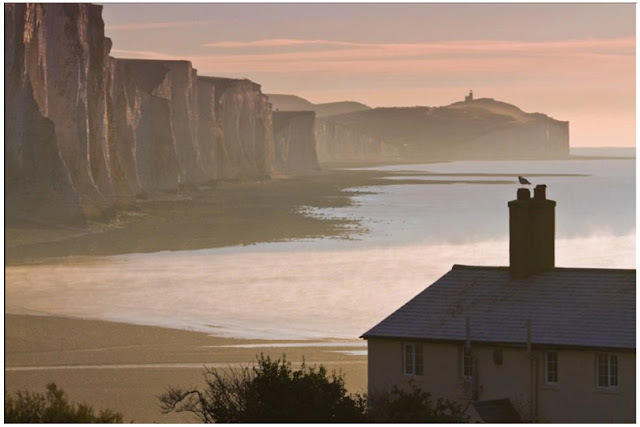 Looking more closely at the photo, on the horizon you can clearly see The Belle Tout Lighthouse that sits on the edge. This particular photo has probably been sold more times than any other of my photos I have taken, and still after 6 years it remains very popular. This place continues to be a firm favourite of mine, I have photographed this scene so many time since and will continue to photograph it so many time more. If you ever want to photograph here, Winter sunrises are best.